360-HQ.COM :: March 2007: Xbox 360 Reviews/Tutorials Competition! March 2007: Xbox 360 Reviews/Tutorials Competition! Post subject: March 2007: Xbox 360 Reviews/Tutorials Competition! Are you looking for a chance to win some cool prizes just for submitting your own Xbox 360 Games reviews or Tutorials?? 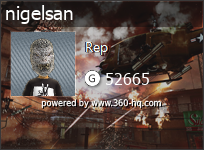 If you are then your in the right spot here with us at 360-hq. 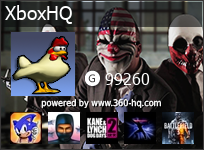 It's my pleasure to annouce our first competitions on the 360-hq.com website which will involve giving away some really nice prizes from our sponsors at http://www.consoleshop.com and http://www.extreme-mods.com. 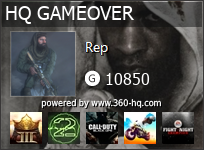 The competition is open to all members of 360-hq.com especially our VIP Members.. All you are required to do is choose the Submit Reviews link and start submitting as many reviews as you can on your favorite games.. Please be sure you get involved in our forums too so we know you are interested in our prizes..
- Your review/tutorial should be laid out in a professional manner. - Reviews/Tutorials cannot contain curse words or any type of bad language etc. - Once your review/tutorial has been submitted it will be reviewed by our administrators and then if suitable added to our database. 1. Choose the Submit Review/Tutorial link from the drop down menu accross the top of our site named "Interact". 3. Type your review/tutorial in the space provided using full punctuation. 6. Finally, click the submit button. Its that easy. - Tonnes of faceplates, cables and other accessories..
is this only for february? how are winners determined? quality of the review, number of reviews, or random drawing, I have only played about 6 games on the 360, so if its by number of reviews im already out. but will probobly submit reviews anyway to help out the cool site. For each member that submits a quality review worth reading will win a prize.. The review must meet the minimum requirements as stated above. There is only one limit and that is one prize per person for now. I have lots of little things for you guys to win so if you can put in the effort i can near guarantee you something nice..
btw.. feb 2007 isnt the last competition so dont worry. Thanks for submitting your review.. Please let me know what you may be interested in as a prize..
Wow, realy? Sweet! a chrome face plate or chrome controller shell would be awesome, but I would be happy with anything, except fan stuff because my intercooler would cover anything like that up. Ok.. Cool.. A Chrome Controller Shell it is then.. .. I just got your message mate so ill package it up and get it shipped out ASAP..
Feel free to submit more reviews.. As more people start entering it will obviously be harding to win cooler stuff.. This is exactly what we are after.. Dont worry about the images etc as our administrators will fix up your reviews.. Just worry about typing the text and layout. get involved guys and girls.. I sent your pack today MONDAY 12th March..
please give it several days to arrive as it is coming from australia. enjoy your prize.. you deserve it for submitting a nice review.